Have you have seen locked content in many websites that ask you to like or follow their social profiles to unlock the content. in this tutorial we will also do the same thing, So in this quick WordPress beginners tutorial you will learn how to lock your WordPress content to increase your Social likes and followers. it is very useful way to gain more traffic, and build quality followers and also improve your website ranking by asking visitors to pay for your content with a Like, Tweet, Plus on. To increase your traffic and follower or shares you must work on your content. Provide informative and valuable content to your visitors then they'll surely share your content to their social media accounts. And also work on your readability and SEO to boost your visitors and rank. 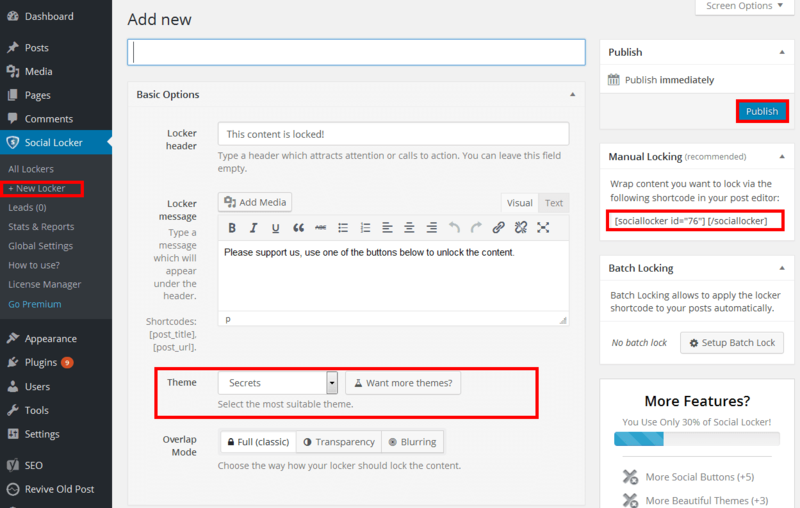 Using the content locker for your content can help increase social media presence. Well, We will use "OnePress Social Locker" which is the famous WordPress plugin. That can help you to increase social interaction and improve the SEO of your website. With this plugin you can gain more readers from social networking websites like Facebook, Twitter, Google plus. it is easy to use and perfectly designed to attract your visitors to like and follow you. Social Locker can easily lock anything in your WordPress and automatically unlock it after your visitor has shared your page. 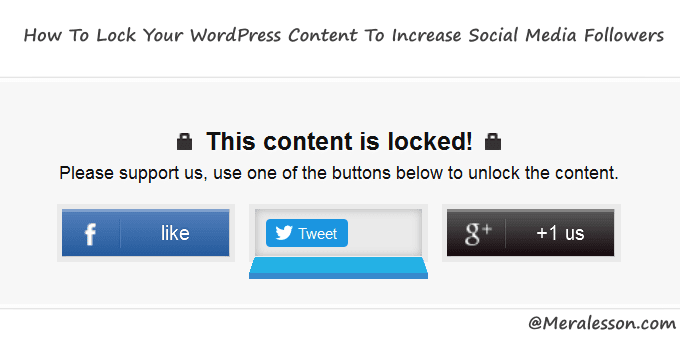 Firstly Download and activate the "OnePress Social Locker" WordPress plugin from your plugins tab. Once you have activated the plugin you will see the new tab on the left side of your WordPress admin area called "Social Locker". So click on that and then click on New locker and create an item. Now you need to add URls of your social accounts. Scroll down to social options section and add your social accounts, after you done. then copy shortcode to use. So this how you can lock your content in your WordPress site to increase social interaction. If you liked this tutorial then like and follow us on Twitter, Facebook.